With a handful of some pretty cool jams going on, 7DFPS, Procedural Generation Jam 2014, and Leap Motion 3D Jam, I decided it was a good time to add some new features to help making discovering games in jams a bit easier. Any games submitted to the jam will have events listed here, giving you a quick way to see what’s going on with the jam. Check it out for 7DFPS. Jam pages now have a new Screenshots page. 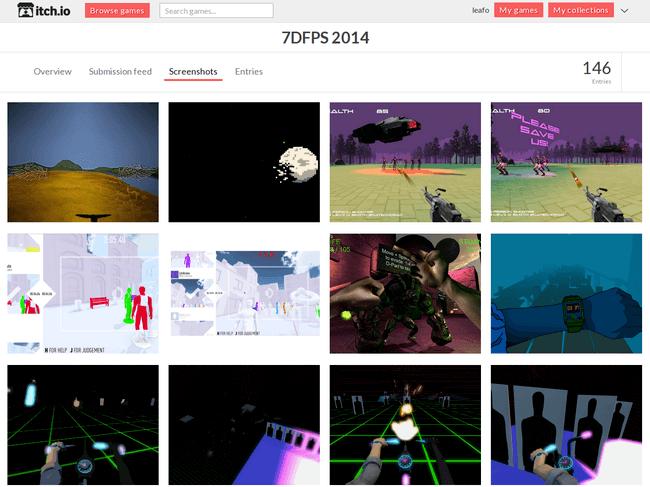 It lists all the screenshots from the games in the jam in a single infinitely scrolling grid. You can flick through all the images to look for something cool. Hovering over the image gives you some quick details about the game. Check it out for the Leap Motion 3D jam. The entries list also got some upgrades. 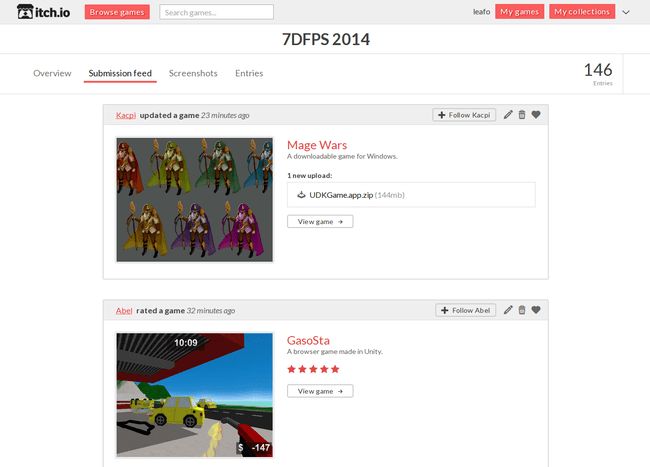 You can now filter games by platform, along with seeing how many have been submitted in each platform. You’ll also find buttons to the jam’s feed and screenshots. These buttons will automatically match the style of of the jam. Check it out for the Procedural Generation Jam. You might have noticed in the screenshots above that the internal jam pages, like screenshots, feed, and entries, have a new header that lets you easily navigate between all the sections. Lastly, because a lot of jam games are team efforts, you can now mark game admins to be displayed as contributors. Their names will show up as an author on the game’s entry page.